All India Pre-Medical/Pre-Dental Entrance Test will be governed by the rules and regulations specified by the Central Board of Secondary Education, Medical Council of India, Dental Council of India and the Ministry of Health & Family Welfare, Government of India. Mere appearing in AIPMT does not confer any right to the candidate for admission in MBBS/BDS Courses. The selection and admission to MBBS/BDS seats in any Medical Institution recognized for offering MBBS/BDS Courses as per Indian Medical Council Act 1956 and BDS Course Regulations 2007 is subject to fulfilling the admission criteria, eligibility, rank in merit list, medical fitness and such other criteria as may be prescribed by the Government of India, respective States, Universities and Medical Institutions. Applications of candidates submitting false and fabricated information will not be considered and such candidates will be further debarred from appearing in any future examinations conducted by the CBSE. CBSE will soon launch the online application link for NEET phase-2, which is scheduled for July 24. Only students who had not registered for NEET phase-1, earlier called AIPMT, are eligible to apply for this. CBSE also reiterated that those who applied for NEET phase-1, but did not appear for the exam, have forfeited their chance now. The board will declare results of both phase-1 and phase-2 on August 17 in a combined list. It will provide the All India Rank based on which a merit list will be drawn. The Supreme Court had ruled that a single entrance exam for medical admissions was to be conducted. Maharashtra government had filed a review petition in SC requesting that it be allowed to conduct its own test till at least 2017. Maharashtra has already conducted its CET on May 5 and is hoping that the SC does not strike it down. 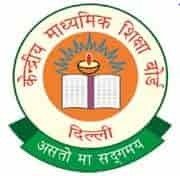 Going by the SC's benovalance so far, as it has not stayed state CET yet, educationists in city are confident that MH-CET will continue to be in place for 85% seats in state medical colleges.